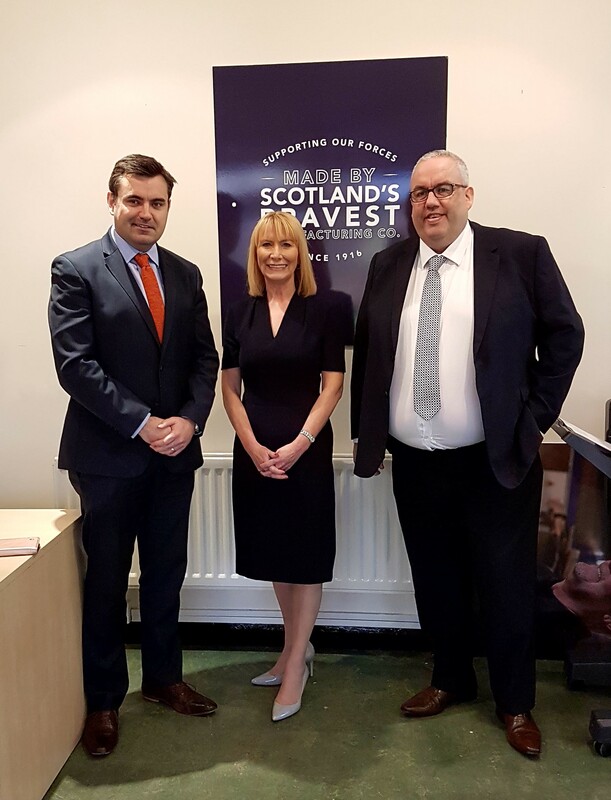 Gavin Newlands, SNP MP for Paisley and Renfrewshire North, has visited a new facility in Erskine which aims to provide further employment opportunities for Scottish Armed Forces veterans, enabling them to work and develop new skills. Scotland’s Bravest Manufacturing Company is a social enterprise partnership between the Royal British Legion and the military charity, Erskine and is due to open its doors in summer 2018. Scotland’s Bravest Manufacturing Company will manufacture a wide array of signs and deliver fulfilment, print, mail and recycling services using the latest technology and equipment. The facility also has bold plans for apartments in their village for veterans needing accommodation as well as employment. “Scotland’s Bravest Manufacturing Company is a fantastic and exciting innovative and I’d like to thank Michelle for speaking to me about this facility which is due to open later this year. “The social enterprise is a collaborative project between the Royal British Legion and the military charity, Erskine, and is being set-up to help provide career opportunities to our veterans once they’ve left the armed forces. “Veterans are, unfortunately, more likely to be unemployed compared to the general population through no fault of their own, as the overwhelming majority of them want to continue working after they’ve left the armed forces.